We have all heard the saying, “You can’t please everybody”. This statement is especially true when it comes to consumers. Consumers are notoriously difficult to please. And in the digital age, where everything is expected to be cooler, quicker and more high-tech, this problem has become even more acute. Some would say it’s nigh impossible to solve. Let’s use smartphones as an example. Ever since Apple launched the iPhone in 2007, consumers and critics alike have expected every succeeding generation of iPhone to have more advanced features as well as better battery life. Absence of an angled dash in the new Kia Cerato means it’s not as driver-friendly as before, but connectivity has been improved and overall comfort is unchanged. And, if you read enough reviews from both users and the media, you get this overwhelming sense of dissatisfaction. Terms like “incremental improvements” and “pretty similar to before” are tossed around without a second thought. Somehow, all the engineering (which we can’t see) that went into the new device just gets ignored. In short, consumers always expect to be blown away. But I suppose it’s only natural when the smartphone in question is always more expensive compared to rivals. The same is true when it comes to automobiles. And in Singapore, where car prices are astronomical, buyers’ expectations tend to be out of this world, too. No wonder Kia’s formula for wowing customers has been a successful one here. The brand (along with sister company Hyundai) has a reputation for offering more car for less money. 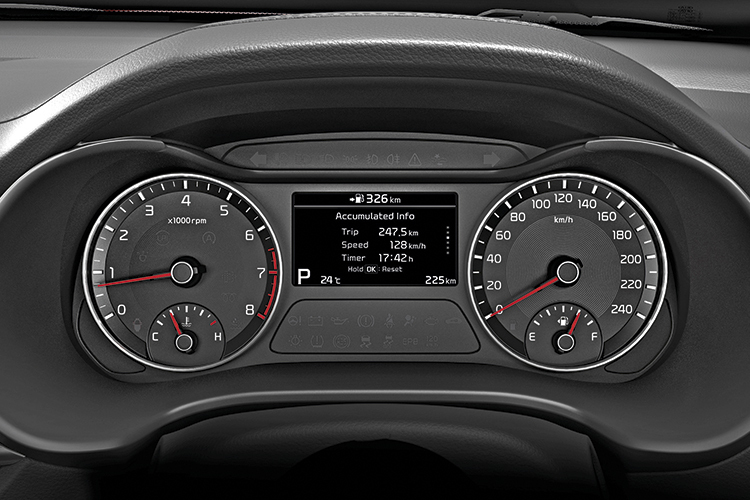 New Kia Cerato’s gauges are similar to the previous model’s, but that means they’re clear and easy to read. Indeed, the previous Cerato, which was launched in 2013, has a lot going for it. 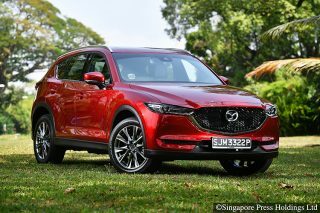 The range-topping SX variant has six airbags, a blind spot monitor and ventilated front seats – features that you’d normally find in more expensive models. 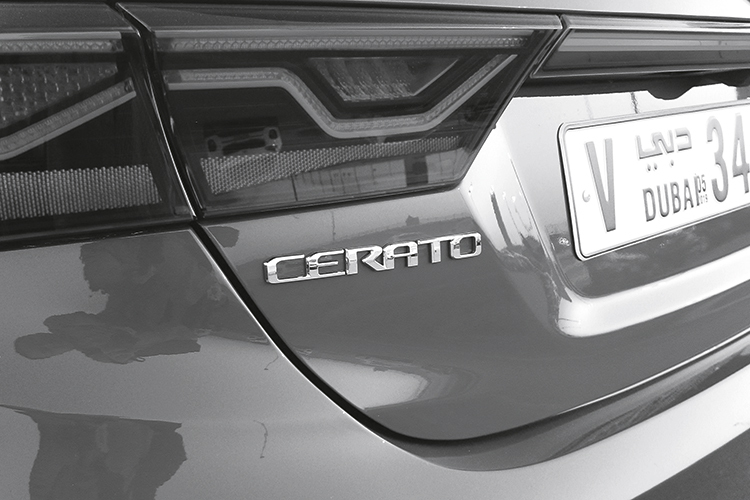 In 2016, the Cerato was updated. The SX variant lost the blind spot monitor, but gained high-intensity discharge (HID) headlamps and a sunroof. The other reason for the success of the previous Kia Cerato was its design, which had gone from frumpy to fashionable. New Kia Cerato’s infotainment screen is no longer integrated into the dashboard. The latest Kia Cerato will garner lots of interest based on its looks alone. The new car’s sharper styling is inspired by its Stinger sibling, a fastback that has been garnering praise since its introduction. With more lines, the Kia Cerato’s bonnet looks more muscular than before, and the front bumper’s wide air intake adds to its sportiness. The range-topping Kia Cerato, which will also be called the SX, now gets LED instead of HID headlights. These headlights have a unique X-shaped lighting element that I haven’t seen on any other car. A fellow journalist remarked that they remind him of the aliens in the video game Space Invaders. 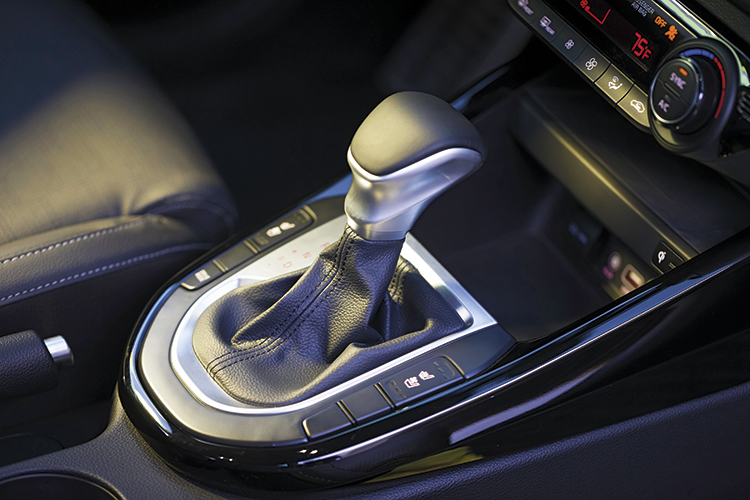 New Kia Cerato’s 6-speed automatic transmission is also new. 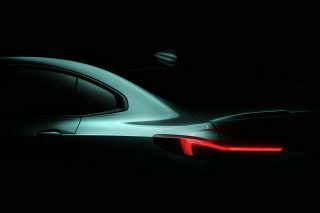 The tail-lights are, finally, proportional with the rest of the rear end, instead of being “oversized” like on the previous car. 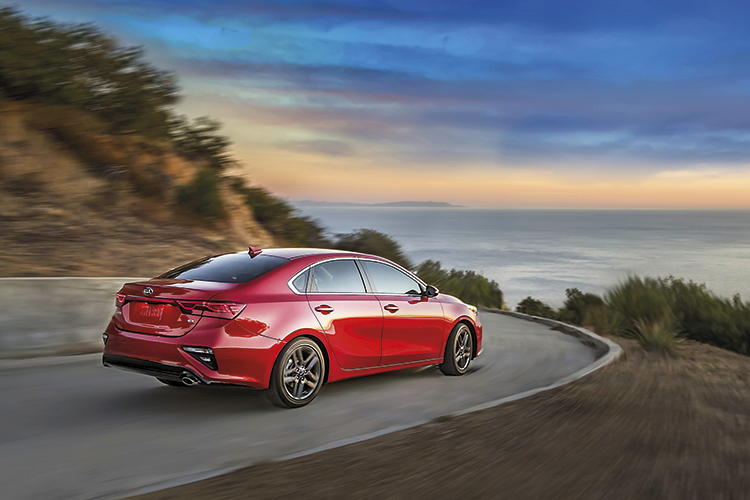 Viewed from afar, the new Kia Cerato might actually be mistaken for a Lexus IS. 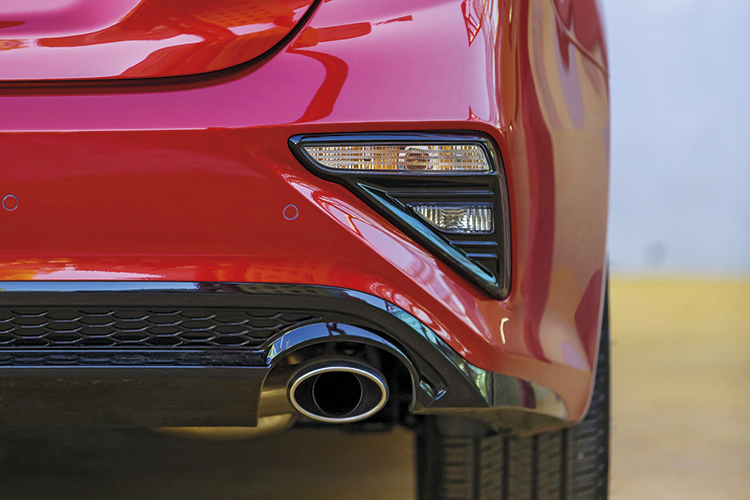 Curiously, both front and rear turn-signal indicators are now located on the bumpers instead of being incorporated with the headlights and tail-lights. Given the ever-growing number of SUVs, I would imagine that it would be more important for smaller cars to have their indicators located higher, so as to make them more visible to SUV drivers. Luckily, the Kia Cerato’s looks and size give it road presence. As with most new cars today, this Korean number is larger than its predecessor. 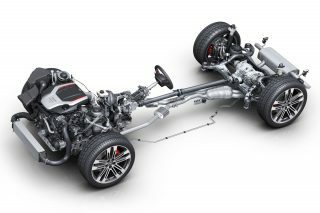 However, the wheelbase length, which primarily determines passenger space, remains unchanged at 2700mm. 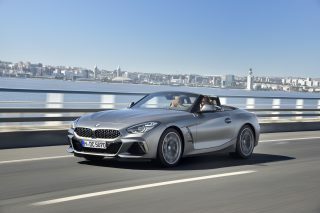 The biggest change inside has been to the dashboard area, which has more connectivity and is more user-friendly, too. 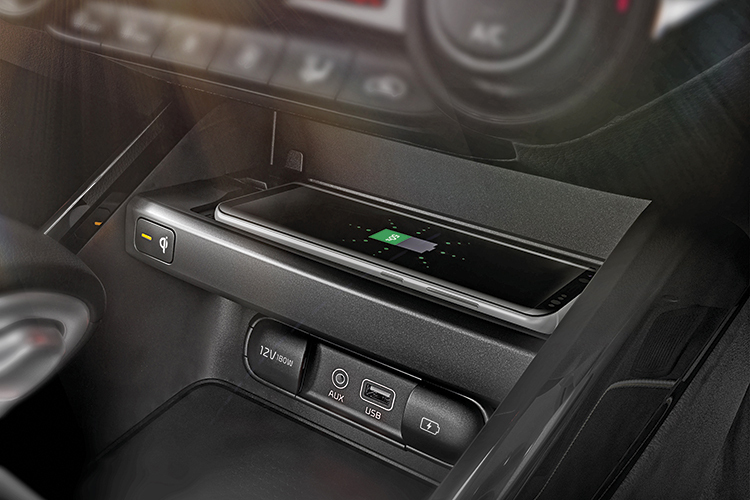 The wireless charging pad/tray has its own space in the new Kia Cerato. While the previous model only has one USB port and a 12-volt outlet, the new Kia Cerato has three USB ports and a 12-volt outlet. There’s also wireless charging for smartphones, a feature which isn’t even available in some luxury cars. Kia has clearly put some thought into the wireless charging function. Instead of just putting the charging “tray” in front of the USB ports, it actually has its own nook. That leaves the space below free for another device. This may seem trivial, but believe me – it could actually prevent arguments between couples driving home after a stressful day at the office. Connectivity aside, I also like the Stinger-inspired steering wheel. Its horizontal spokes are higher than before, making it more comfortable to hold at the 9 o’clock and 3 o’clock positions. And the new round air-con vents on either side of the dashboard have a wider range of adjustments. I love how the cold air can now hit me directly, which isn’t possible in the older Kia Cerato. The well-equipped test car also has familiar amenities such as dual-zone climate control and ventilated front seats. However, I feel there are some design missteps. The Kia Cerato’s dashboard, for one, is no longer angled towards the driver. I also dislike how the infotainment display is no longer integrated with the dashboard. Kia says it improves visibility, but I think having the screen sitting on top of the dash just looks tacky. 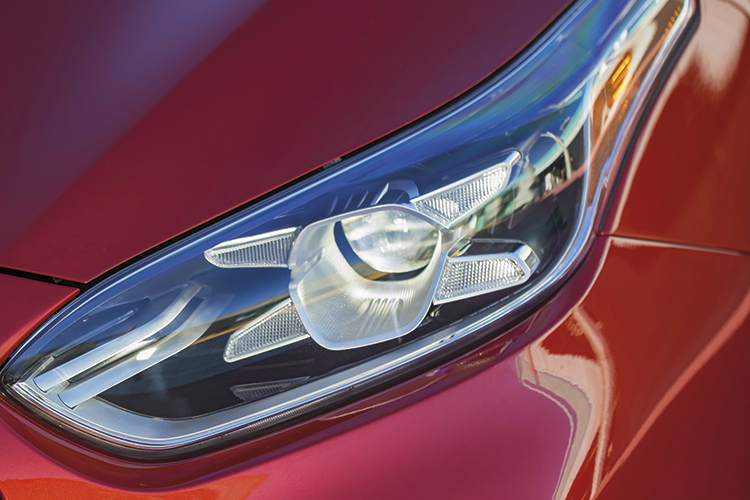 Kia Cerato’s X-shaped lighting elements distinguish the LED headlamps from the halogen ones. Speaking of infotainment, the system is essentially similar to the one in the previous Kia Cerato. That means there’s no built-in sat-nav, but Apple CarPlay and Android Auto are standard, so you can navigate using your smartphone. It’s not seamless, though. I’m not sure about Android users, but iPhone owners must plug the phone into the USB port to activate CarPlay. Enhancing occupant safety is Kia’s Advanced Driver Assistance System (ADAS), a suite of features that includes Rear Cross-Traffic Collision Warning and Blind-Sport Collision Warning. It remains to be seen, though, if any of these functions will be in Singapore-bound cars. Strangely, the turning indicators in the new Kia Cerato are placed on the bumper. What Kia Cerato buyers will definitely enjoy is the refinement, which is clearly a notch above the older model’s. Chalk that up to the amount of high-strength steel used, which has grown by 20 percent to 54 percent, and the total length of adhesive, which is nearly six times more than in the outgoing model. High-strength steel is both stronger and lighter than regular steel. In human terms, it’s like the Kia Cerato has been going to the gym and gaining lean, instead of bulky, muscles. Indeed, at 1195kg, the new Cerato is 100kg lighter than before. 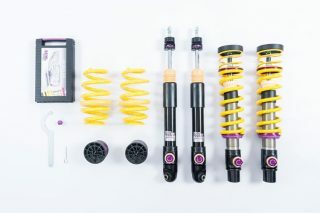 With a stronger body and better sound insulation, NVH (noise, vibration, harshness) is less palpable than in the older model. Engine noise is less intrusive, too. Which is just as well, since you’ll have to work the motor hard if you want to make progress. 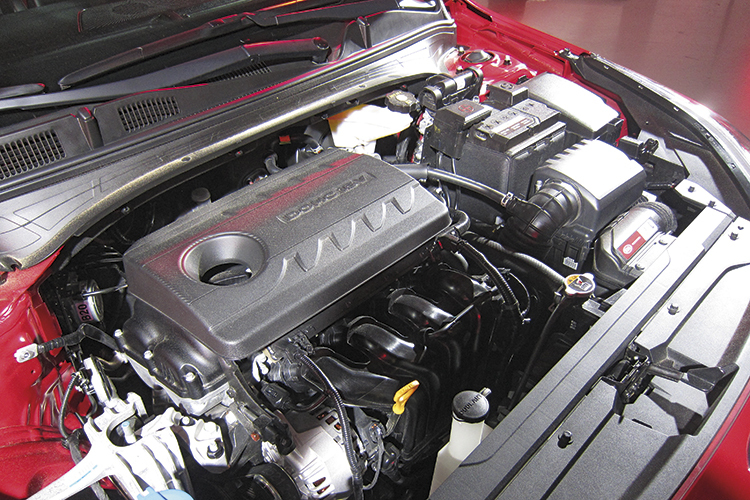 The engine in the Kia Cerato 1.6 I tested is the same naturally aspirated 1.6-litre 4-cylinder MPI unit used by its predecessor, albeit slightly detuned (by 2hp and 2Nm, to be exact). That said, I imagined that the same engine in a lighter car would mean better performance due to the improved power-to-weight ratio. 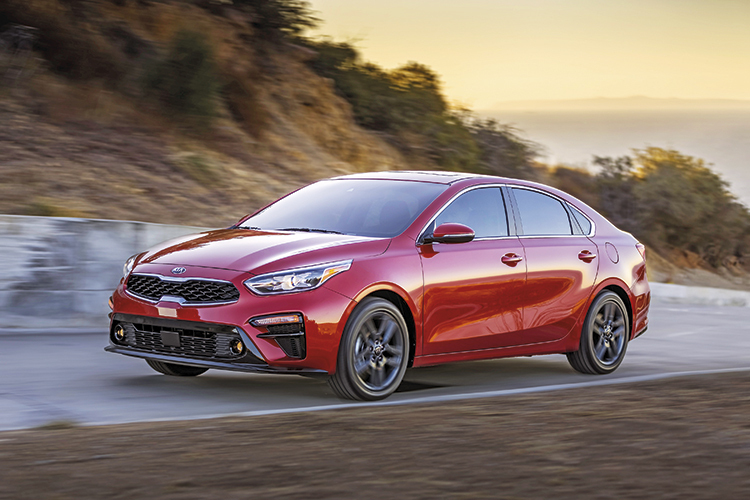 I was shocked to learn that this wasn’t the case, as both the new and old Kia Cerato take 12 seconds to accomplish the century sprint! Even the new car’s fuel economy is only marginally improved. Kia claims that it now averages 15.2km per litre, or 0.5km further per litre of unleaded. The reduction in fuel consumption should have been greater, given the significantly lighter kerb weight. If I had to guess, it’s probably because the engine isn’t that efficient to begin with, and the fact that the gearbox still only has six forward ratios. Kia only mentioned it in passing during the launch, but the Cerato’s 6-speed automatic is a new unit. Kia Cerato’s naturally aspirated 1.6-litre engine is still no firecracker, but at least it sounds less strained when revved hard. From personal experience, I can say that it feels more seamless than the older one. Conveniently, using its manual override function now changes the car’s drive mode to “Sport”, too. 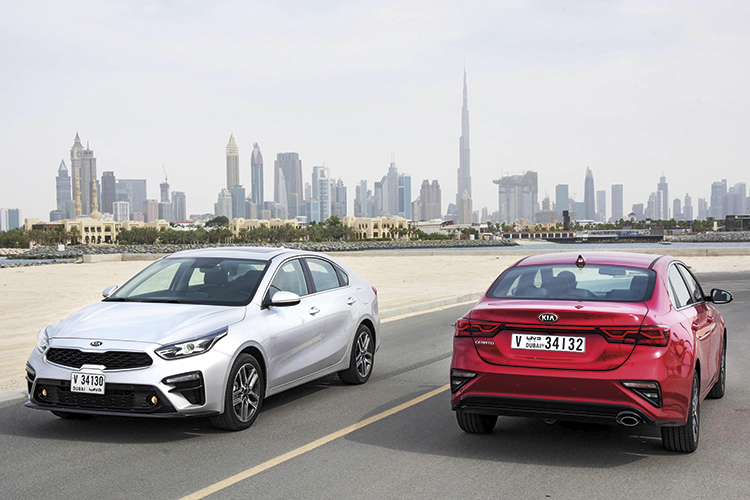 To showcase the Kia Cerato’s lighter weight and more dynamic character, we took it for several laps around the Dubai Autodrome. Impressively, the Kia Cerato felt nimbler and had less inertia as it tackled the slalom and lane-change exercises. 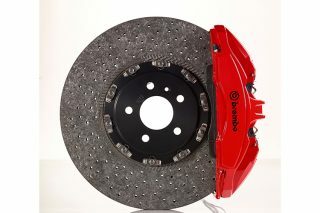 And despite there being no upgrade to the brakes, they felt a lot stronger than before. 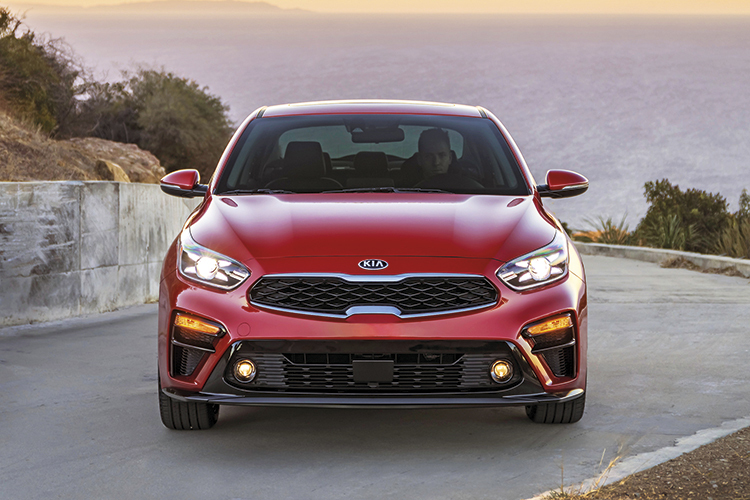 It’s not going to win any handling contests, but the new Kia Cerato definitely has a more responsive helm and a keener turn-in. In 1.6-litre guise, the Kia Cerato is no threat to a hot hatch. But somehow, I feel like the engineers have hidden the car’s performance potential. Imagine if it had the 138hp turbocharged 1.4-litre engine found in Hyundai’s i30 hatchback. That would give the Kia Cerato some pep in its step. Maybe it’ll happen when the car is facelifted in two to three years’ time. 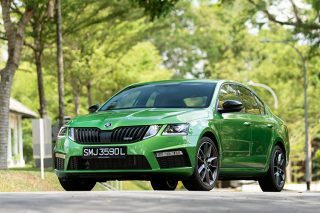 Arriving much sooner will be the “spicy kimchi” version of the Cerato. Due to begin production later this year, it will have a turbocharged 1.6-litre engine that pumps out 201hp and 265Nm of torque. Most buyers will find the Kia Cerato to be a compelling proposition. As for me, I’m reserving further judgement until I’ve driven the car in Singapore. Consumers are difficult to please. None more so than owners who have to evaluate the newer version of their car.